How exactly does this ho-hum mainstream watch deserve to be called an “Ingenieur”? Seriously, WTF is this thing? It’s not even anti-magnetic! The Ingenieur range was launched in 1954 or 1955 alongside the rival Rolex Milgauss as a durable, anti-magnetic watch for scientists and engineers. This was not a time of radical designs, but the Ref. 666 Ingenieur stood out in a chunky (for the time) 36.5 mm by 13.2 mm case and exceptional magnetic, water, and shock resistance. It also featured one of IWC’s first automatic movements, Cal. 852, with the special winding system designed (like the whole watch) by the legendary engineer Albert Pellaton. The movement was improved in 1959, but it was the 1967 redesign that created the true classic Ingenieur. This Ref. 866 had it all: A great-looking case (now a wearable-even-by-modern-standards 37 mm), lumed sword hands and double markers, and a wonderfully accurate and reliable movement, Cal. 854. This is the model IWC supposedly recalled with the modern Ingenieur lineup, but the resemblance is superficial. Check out this cool Ref. 866AD Ingenieur from 1969, on offer under $10k on Chrono24 from Bachmann & Scher in München. It has style and class, but the soft iron inner case offers magnetic resistance and durability for serious work. Although not as celebrated as the Audemars Piguet Royal Oak or Patek Philippe Nautilus, the classic Ingenieur SL is a timeless creation of the remarkable watch designer, Gerald Genta. The SL featured a revolutionary “sandwich” case with a bezel and crystal that unscrewed just like the caseback. Although unsuccessful in the marketplace (it was huge and expensive by 1970s standards), the SL became the template for three decades of Ingenieur models. Literally every Ingenieur until the “Vintage” offering of 2009 had an SL-style case! The Ref. 3303 Quartz model features the “Jumbo” 40 mm case but reduced to just 8.8 mm thickness. They’re very rare (just 149 were made), but I found this complete set on Chrono24 at Juwelier Pichler in München for under $7k. Like the rest of the industry, IWC returned to automatic movements in the 1990s, with the spectacular technical blunder of the “500,000 A/m” model and the Jaeger-LeCoultre-based “Officially Certified Chronometer”. But it was the in-house movement and modern case of the 2005 Ref. 3227 that brought the model back into the public consciousness. My favorite model if this period is the Ref. 322702, a special titanium version created as part of IWC’s partnership with Mercedes-Benz’ AMG division. It’s got everything: A high-tech case, anti-magnetic inner core, in-house Cal. 80110 movement, and a comfy integrated bracelet. Another great model of the era was the “Big” Ingenieur Ref. 5005, but the unreliable Cal. 51113 gives me pause. I found this titanium Ingenieur Automatic Mercedes-AMG edition on Chrono24 from TimeWorld in Lausanne for just over $3k. It’s a fantastic watch, a complete set, and in good condition! The Ingenieur models of recent decades tried to combine references to the classics without being shallow retreads. Look closely at the Ref. 3227 and you can see sword hands and double markers from the 1960s that look at home in a modern dial. And the case strongly references the Ingenieur SL but reinterpreted in a truly modern way. What these models apparently lacked is strong sales, or maybe there was just no support inside IWC for unique styling. The last decade for the Ingenieur has just been depressing. IWC switched to “cost-reduced” models in 2013, going back to an ETA-based movement and steel case for the basic model even while issuing wildly experimental carbon and ceramic options at higher prices. But now they’ve ditched all that, rolling out a set of generic offerings that would be at home in the display case at Macy’s. The three-handed Ref. 3570 has a Sellita-based movement and lists for $4,590 and has nothing to distinguish it. The styling is a bland mix of modern chunkiness and vintage elements, with a dial that is sparse and at the center and crowded along the edge. It’s no longer anti-magnetic or particularly durable, apart from the solid caseback, and I really would not recommend it to anyone. The basic chronograph model, Ref. 3808, shares this generic modern styling, so it’s a relief that both models skip the “INGENIEUR” logo on the dial! The Ref. 3809 Chronograph Sport is a little better, with an in-house flyback movement and balanced 12-and-6 subdial arrangement. The nifty lightning bolt hand in the 6:00 subdial is really a Rolex Milgauss stylistic element, but I’ll accept the “INGENIEUR” logo on the dial of this piece: It even has a soft iron inner case for magnetic resistance. If you want a high-end complicated Ingenieur, you couldn’t do much better than this never-worn Ref. 3792 Perpetual Calendar Digital Date-Month example, on offer by H&Y Jewellery of London for under $24k! 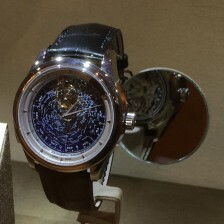 The top of the line (now that the 2013 tourbillon is retired) is the Perpetual Calendar Digital Date-Month. Although I love these complications, and a perpetual calendar model has been in the Ingenieur lineup for for 30 years, the dressy design of the new Ref. 3817 really doesn’t say “Ingenieur” to me. The old Ref. 3792 was much better, with a techno look, carbon elements, and a 5-screw bezel that recalled the Ingenieur SL. I just can’t comprehend what IWC is doing to the Ingenieur lineup. They have eliminated just about everything important (magnetic resistance, clean dials, “techno” styling, high-tech materials like carbon, ceramic, and titanium), thrown out iconic design elements (Genta’s SL, the wedgy Mercedes-AMG look, classic Arabic numerals), and even removed the name. If they really don’t understand what the Ingenieur is, or really think buyers don’t want them anymore, they should just kill the lineup instead of offering these hopeless models. Please may I know why is the IWC calibre 51113 unreliable? It’s all about isochronism. The IWC Cal. 5000 series, including the 51113, has an 8-day power reserve thanks to a single massive mainspring. All watches beat at a different rate as the mainspring tension is released, but this is amplified in the Cal. 5k. It can be adjusted to be accurate when fully wound or when mostly unwound but there’s no way to hit both points. So your Cal. 51113 Ingenieur will either work great for daily wear and need to be re-set after a weekend off the wrist or still tick after a week in the watch box but need to be re-set frequently. There are also some reliability issues due to the torque of this mechanism, but IWC’s quality control is quite good and this isn’t as big a deal as it could be. I hope you understand: It’s not that the movements are unreliable in that they break, they’re unreliable in that they aren’t accurate. i visited the IWC site about month ago hoping to find the current iteration of the Ti AMG which I bought new in 2009, but sold it about six years later because i had just replaced the dark green kevlar-like strap for the second time, and i was frustrated that each replacement cost $150 and six weeks. (All three straps quickly fatigued around the buckle; should have been a clasp at that price point, in my view). Still, i loved that watch and when i looked for it again on IWC site, not only was it not there, but there was nothing even close. Not sure even why they kept the name “Ingenieur” for this series. (aside: the Tudor North Flag is in some ways similar to my AMG, so i purchased the NF, very happy with it). also, i did not know that Genta designed the Ingenieur. So let’s see, that’s the Royal Oak, the PP Nautilus, and the Ingenieur–remarkable. Genta’s influence on watches was pretty amazing! After designing the Royal Oak for Audemars Piguet in 1972 he did the Omega Constellation, Patek Philippe Nautilus, IWC Ingenieur SL, Bulgari-Bulgari, and Cartier Pasha! One watch he’s often credited with is the Vacheron Constantin Overseas, but he wasn’t actually involved in that one. Design of “project 222” was actually handled by a young Jörg Hysek, who later created the Breguet Marine and his own eponymous brand. Genta was also uninvolved with the Gerard-Perregaux Laureato, though both of these designs were obviously inspired by the Royal Oak.